TGIW... know what I mean?? Right? Oy - it's been a long one so far! I don't even have anything to say, sorry, lol! 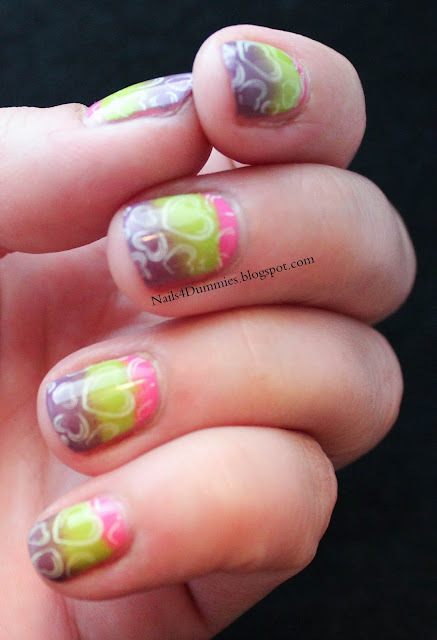 The base I used for this mani is OPI - If You Moust You Moust and then I sponged on green and purple acrylic paint. 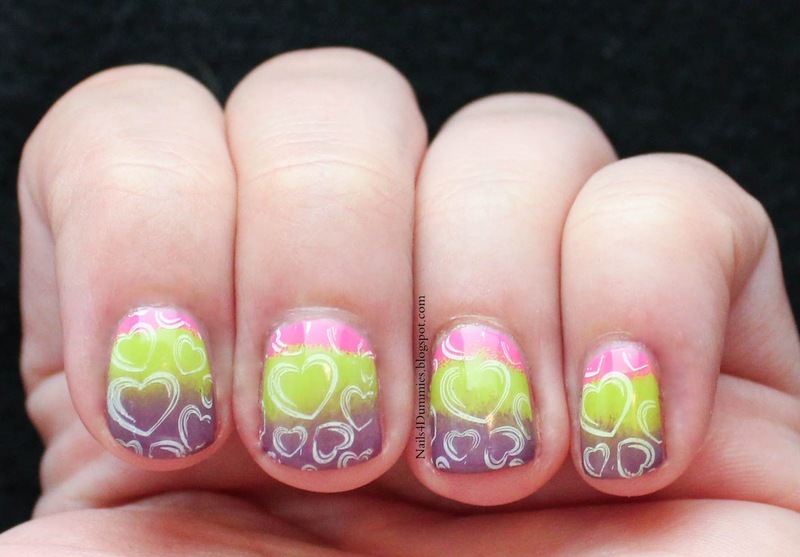 I then stamped on that using Sally Hansen Xtreme Wear - White On and Bundle Monster Plate 317. Whaddya think, eh?